Mi-Clos Studio is a French developer that has made its mark in the incredibly crowded iOS and Android market by making a game that is not a clone of Candy Crush or [Clash of Clans. I know, amazing right? 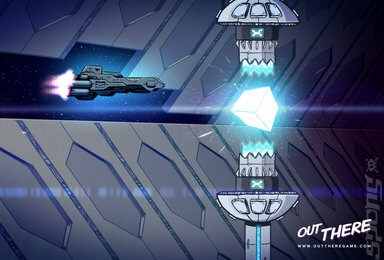 Instead they have made a rogue-like space adventure game called Out There and they were at PAX East 2014 showing off the Windows PC version on the expo hall floor. I spoke to Michael Peiffert of Mi-Clos studio to ask about the game and recently announced PC version. SPOnG: Tell us about Out There. Michael Pieffert (MP): Out There is a space exploration game that requires the player to balance resources and actions in order to progress. It's a rogue-like in that one error can result in the game ending and the player having to start again. SPOnG: How did Out There come about? MP: Before we started developing the mechanics, we are only two developers and we are both lovers of space, astronomy and sci-fi. 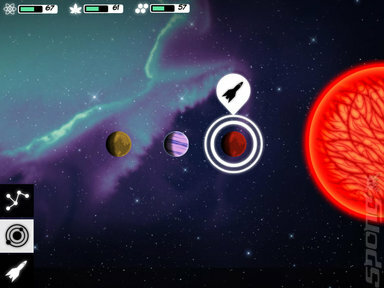 When we played games together it was obvious that we should develop a space game. So for Out There we didn't start to think about the mechanics initially, we instead focused on the experience. This experience being how one would survive in space if you were a lone astronaut. So we created a gritty realistic sci-fi set up, which is all about the idea of loneliness and survival in space. The mechanics came after, so we looked around to see what would be the best mechanics to communicate this idea. SPOnG: Tell us more about the mechanics of Out There. It is very closely linked to resource management isn't it? MP: It was pretty difficult to balance the game with this mechanic. We had to beta test the game heavily during the development process. It actually took a year just to balance the core mechanics of Out There. It's still not a perfect balance, but we want Out There to be very unforgiving as the experience of being lost in space would be that. Sometimes the deaths in Out There are very brutal and we wanted this because it made sense in space as it is the most hostile environment for mankind. Therefore any tiny details you forget or you don't care [about] can be fatal for the player. 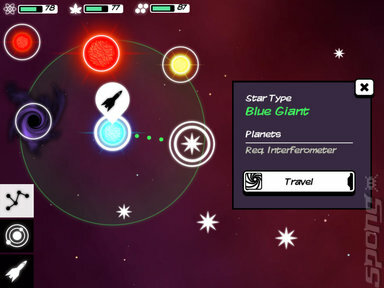 SPOnG: Out There has a very interesting method of teaching the player the alien language that is used by beings encountered by the player as they travel through space. Can you describe it and explain how it came about? MP: Once again this idea was developed around loneliness of space. We wanted to have some encounters that make the player feel alone and lost. This is why we created this randomly generated language. Also this method of slowly revealing the meaning of each word in this language pushes the player to meet other alien races. I think it is a very good idea as it highlights the fact the player is alone and they need to meet new people to progress. SPOnG: This model of slowly revealing words from a seemingly gibberish language is similar to Captain Blood, an old Atari ST game. Was this a concept drawn from that game? MP: Captain Blood was a French game and there are a lot of old titles that feel pretty old today but were ahead of their time. Like the language in Captain Blood for example. Also we both loved the first Dune game, which was a very complex strategy title with a lot of narrative. It had a very big scenario and was very closely tied to the source material. Dune was very interesting because I was really young when I was playing it, so didn't know what to expect. It was certainly my first strategy game and I completed it because the story was so interesting and the gameplay was good too. Oregon Trail is another game we have drawn inspiration from. So you can see the roots of Out There can be seen in these and other older games. SPOnG: Out There does drip feed the player with new information about the part of the universe they are in. Was this a conscious decision? MP: The writer of Out There is a fan of sci-fi books of the 1950's and 1960's and this is reflected in the story. We wanted to have three different endings, each one has a meaning that allows the player to understand the overall story arc. We also wanted to portray a bigger world than what is shown in Out There to add an element of depth to it. SPOnG: The art style is very unique, as the artist of Out There, what inspired you? MP: I have been inspired a lot by old comic books because I really like the cheesy comic sci-fi you find in those older comics. The drawing is very naive as well as the story and it's also very optimistic, as the vision of the future was positive compared with today's sci-fi, which I find very appealing. The colouring is actually inspired by Japanese anime and I really like the combination of the two art-styles because it's something very dark but fascinating. This is exactly what we wanted for Out There. 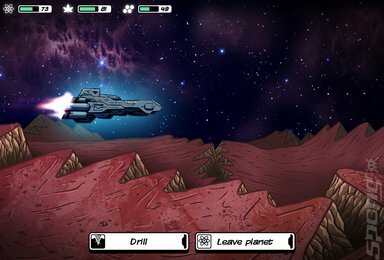 SPOnG: What are the major differences between the PC version and the currently released iOS and Android versions of Out There? 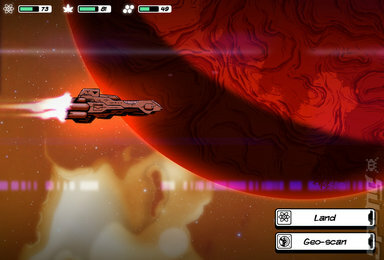 MP: It is an upgraded version with more content with more adventures, aliens, new ships and maybe a new ending. There's quite a lot of work and following the release of the PC version, we will be releasing a free update for the mobile version. SPOnG: Thank you very much for your time!